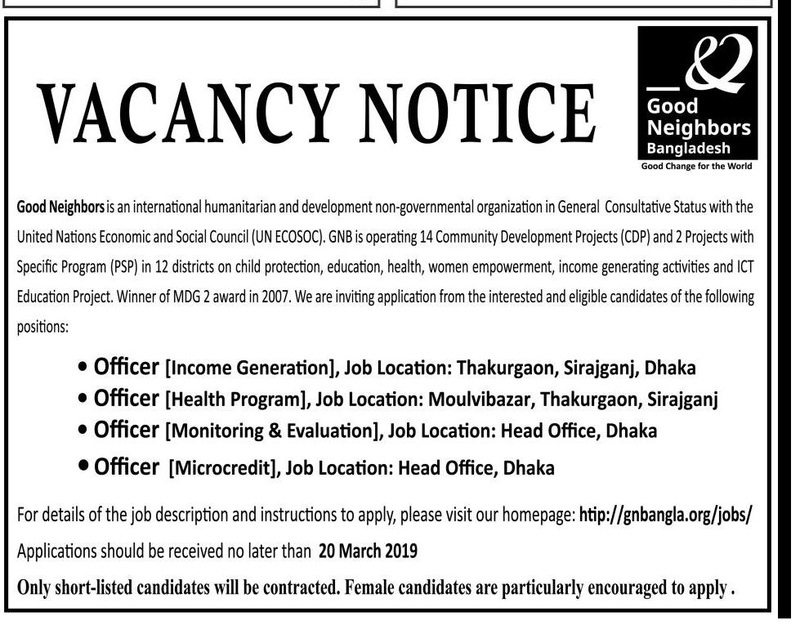 Good Neighbors Bangladesh Job Circular 2019 has been published by their authority in daily online job portal and to get from the best jobs and the education portal website in BD Jobs Careers- www.bdjobscareers.com. For the user understanding, we would like to inform you that, Good Neighbors Bangladesh is a member organization of Good Neighbors International (GNI). It has been operating in Bangladesh since 1996 as an international non-government organization for helping deprived children, their mothers and families through education, health services, economic security, protection, community development, sanitation, and disaster relief projects.GNB is currently serving more than 21,000 children along with their mother and families through 2 urban projects and 12 rural projects in 9 districts in Bangladesh.